'Tis the season we eagerly await The Great Pumpkin, who rises up in the most sincere of patches. Thankfully, my patch is worthy enough...sincere enough...to welcome The Forthcoming Arrival. There are lots of pumpkin patches; most are counterfeit or hypocritical. I'm the most devout adherent to the Night Watch. Others are not steadfast enough to be counted among the Devoted. I am unashamed to proudly proclaim my Pumpkin Affiliation. I care enough to put down in writing my most personal thoughts and desires. The Supreme Squash surely prefers my fidelity above all others. Some deride my deep faith, and ridicule my perseverance. They assume I've made it all up in my head. They disagree with my dedication, my zeal, my tenacity. They tease my unyielding Expectation. They object to my attempts to convert the unaware, the uninformed—those who have not embraced The Truth. They appeal to logic and reason. They insist on proof, evidence or verification. They cite years of unfulfilled predictions. As if the darkness of their humanistic understanding could ever eclipse my Enlightenment. I know I'm right and they're wrong because I feel it in my soul. I don’t need their history, their research, their science. I have confidence in the Indwelling Fruit that displays that cosmic unification of red and yellow hues. How can they argue with my deep convictions? Obviously they feel threatened by my persistence. They must secretly envy my resolve. Those around me try to deter me from my sacred observance. They tempt me with their fleeting, worldly rituals of masks and costumes, but they are only hiding from what is Real. They choose the sweet, temporal tastes of easy treats over the lasting satisfaction of the Pumpkin's fulfillment. I look to the heavens; they look in their bags. The Pumpkin Way is the only way. The Patch...MY Patch...is the One True Patch. My heart tells me I am on the Singular Righteous Path, while they've turned away to walk a willful road of decadence and self-indulgence. They are a mockery, choosing to revere the jack o'lantern of their own making rather than The Infinite Pumpkin. They will feast on the pie and savor the spice, while showing contempt for the Source. I grieve in my spirit, knowing so many doubt the existence of this One True Cultivar. 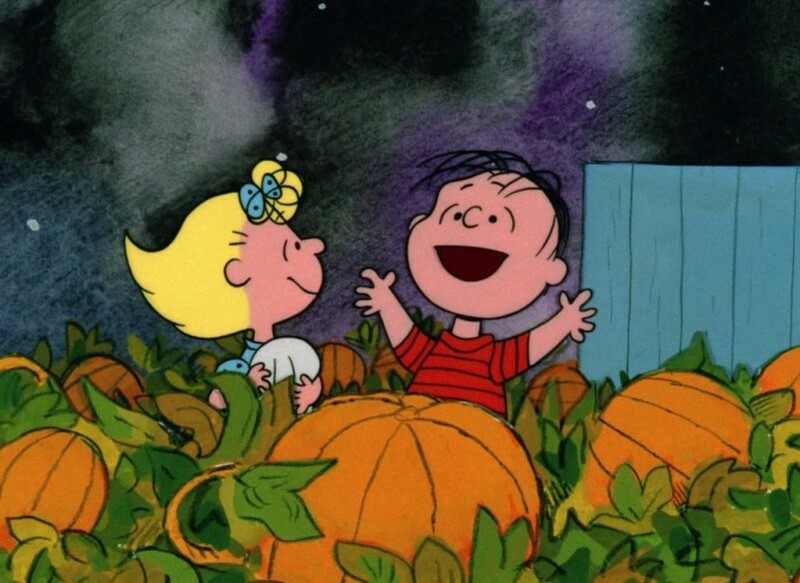 I've made repeated attempts to convince them of The Great Pumpkin's existence. They refuse because they've never seen it. None of us have either, but I am not dissuaded, for I don’t live by sight. Only inferior people refuse to believe as I believe, and what I believe. I love the squash skeptic, but hate their skepticism. They are an affront to morality and decency. They are abominable. So with rightful condescension, I must piously, persistently and loudly proclaim their everlasting damnation. If I must lie and exaggerate to get others to grasp the dangers of that abhorrent lifestyle, it is justified for the Greater (Pumpkin) Good. Ultimately, reprobates deserve the torment that awaits them. 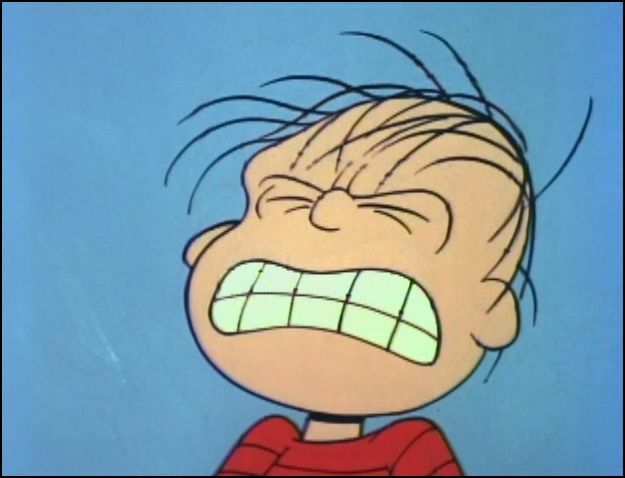 The Great Pumpkin decrees it, obviously out of love and compassion. Why is oppression and damnation not enough to convert them? Their indifference, their disagreements, their unwillingness to align with our righteous cause is hurtful to those of us who tarry patiently. The evil within them prevents them from accepting The Truth of the Impending Appearance. When they reject The Quest, they've rejected me. I will not be unequally yoked with those who refuse to anticipate The Coming. I won't associate with unbelievers. Light has no fellowship with darkness. They will regret their actions! Their persecution...yes, that's the best description...their persecution will not be ignored. Soon, they will be put in their place. The doubters will know the full extent of our passion! Those who do not share our pumpkin beliefs will not share in our pumpkin bounty. Submit to the Orange Dogma! We have allies. Powerful, influential advocates and elected officials. This country was founded as an agrarian nation. We will honor the intentions of our Founding Fathers. Together, we will pass strict legislation, allowing us the freedom to exercise and impose our deeply held squash doctrines. The infidels will not be allowed in our Sacred Patches. We will refuse to serve the perverted in our Holy Places of Businesses. Other holidays observed during this time must defer to Our Traditions. Casual references to "autumn" or salutations such as "happy harvest" will not be tolerated. We will dictate the proper—the only—way to greet one another during this most glorious time of year. Regrettably, some within our Patch act out the indignation of our indoctrination with impulsive, inappropriate responses and retribution. Sometimes, even violence. Of course, that is never our intention, and we express total shock that our message of exclusion has been taken to such an extreme. So when such actions do occur under the misguided guise of our teachings, we always offer our sincere Pumpkin intercessions and heartfelt thoughts. After all, The Garden Gatherers are committed to peace and harmony, even to those vile, worthless individuals who do not accept The Truth. Praise to the Sacred Gourd.